This charming village, surrounded by wonderful landscapes, is ideally located to visit the Lubéron and the pays d’Aix areas. – A ride in Porsche : to visit the area driving in a prestigious Boxster with Gulf colours. A road book will guide you on perfectly adapted roads. 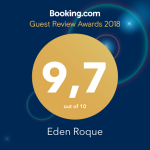 – Rides in electric bicycles : Frédéric will show you the area; he previously selected routes to ease your experience and show you the best landscapes. Thanks to the electric-assist the trip won’t be physically too demanding! – A personalised reception for bikers : owner of a Suzuki DL 650, Frédéric can advise you routes that he likes in the area. 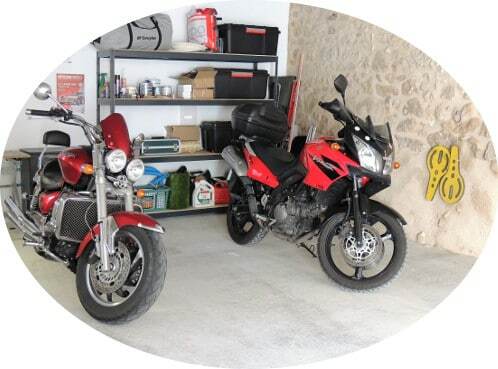 Furthermore, your motorbike is safe in the covered garage and you can relax in the spa after a long ride day. For a stay or just a stop on your way, the atmosphere is warm and casual.